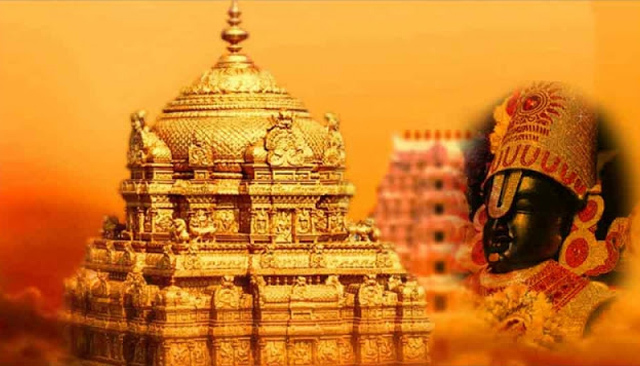 TTD deposits 2,780 kilos of gold with SBI: Tirumala Tirupati Devasthanams which governs the famous hill shrine of Lord Venkateswara on Monday deposited 2,780 kg of gold with State Bank of India under long term deposit scheme. The Tirumala Tirupati Devasthanam would get an interest of 2.5% on the long-term gold deposits made for 12 years under Gold Monetisation Scheme, he said. Apart from this, the gold that was handed over to the Mumbai Mint in May 2017 was converted and refined into pure gold, amounting to 705 Kg, which was received by TTD from the Mint. This amount was also deposited under the Long Term Gold Deposit Scheme for a period of 12 years at 2.5 per cent interest, taking the total gold deposits to 2,780 Kg. SBI has now handed over the certificates of the deposit to TTD. Bank GM RV Deshpande, DGM Kulkarni, and AGM Madhu Mohan Patro were also present. “Gold offerings will be around one tonne per year. In the case of property deeds, the due procedure is followed by the concerned department to transfer the title. The temple also gets silver, diamond, and other items,” a TTD official said.